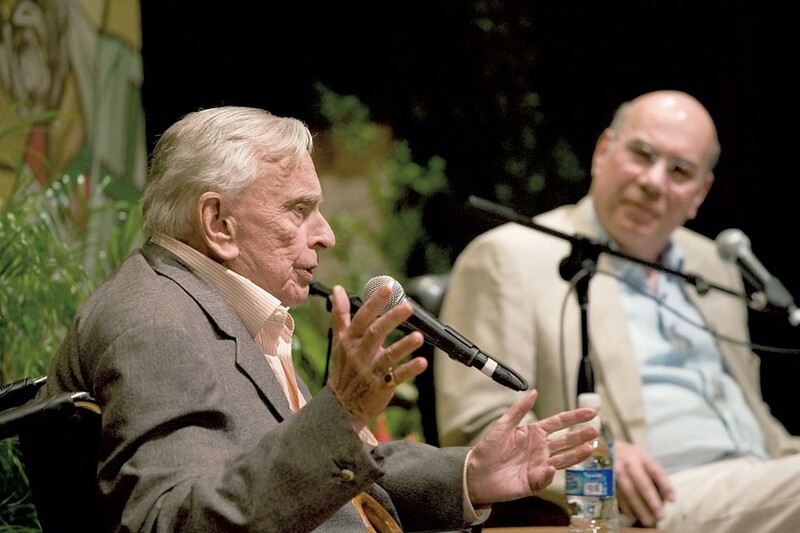 Middlebury College professor and writer Jay Parini knew Gore Vidal well, and he agrees that the word "irascible" described the late author and commentator. "He had a very thin skin and he would flare up, and he had a wild temper," says Parini. "Very few people stayed friends with him for long. I think I was one of the few people who stayed the course." Parini met Vidal by chance in Italy in the mid-1980s, and the acquaintance soon bloomed into a close friendship. "He became a kind of mentor, a big brother figure to me," Parini says. "We talked on the phone every week — sometimes every day — for decades." The two remained devoted friends until Vidal's death, at age 86, in 2012. It was natural, then, that Australian filmmaker Nicholas Wrathall, when seeking the input of an expert for his documentary on Vidal, would turn to Parini. 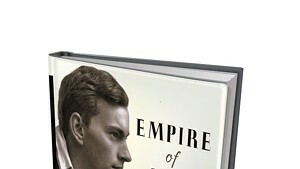 The author, who is currently finishing a biography of his late friend, will speak at a screening of that film, Gore Vidal: The United States of Amnesia, at Burlington's ArtsRiot on Wednesday, August 27. Proceeds from the event will benefit the 10th annual Burlington Book Festival, which unfolds at various locations around town in the third week of September. To Parini's surprise, the interview that he did for Wrathall's camera wound up serving as the "spine" of the film. "I was on camera more than I ever thought I would be," says Parini, who only has praise for the finished film. The director, he says, "followed Gore around for the last five years of his life and got some amazing footage." Wrathall then garnished Parini's central narrative with archival clips of Vidal's many public appearances. "Anybody who comes to the movie will certainly get the picture [of how] difficult and charming and articulate [Vidal] always was," Parini says. Describing himself as "a longtime friend of the Burlington Book Festival," Parini was happy to contribute when asked to do so by festival director Rick Kisonak. Previous festivals have featured Parini as a writer or host; after this early screening, he'll lead a discussion of the film and its subject. A fundraiser for the festival, the $20 event gives ticket holders entry to the festival's opening-night party. Known for his literary wit and radical-left politics, Gore Vidal was a passionately opinionated fixture in American arts, politics and letters for more than half a century. Well regarded for both his fiction and nonfiction writing, he was also one of the country's first and most outspoken advocates for gay rights, before that term was in widespread use. Vidal was most in his element, though, as a pundit, remembered for the verbal barbs with which he wounded such conservative opponents as William F. Buckley Jr. and Richard Nixon. He was also, Parini says, a remarkable impressionist, delivering spot-on verbal imitations of Nixon, Ronald Reagan and even the locutionally undistinguished Dwight D. Eisenhower. The decades-long friendship between Vidal and Parini was sparked, Parini says, by their common ardor for leftist politics. Parini describes himself as a "peace activist" and considers it his duty, as a writer and a Christian, to speak out for social justice. "I think that Gore — although not a Christian — was nevertheless always on the side of liberty, and always on the side of helping people who needed help," he says. "If Gore hadn't been essentially in that camp, I would have run a mile from anybody with that irascibility." Among Parini's many books are three biographies of literary giants: Robert Frost, John Steinbeck and William Faulkner. The one he's now concluding is, he admits, an altogether different beast, in that it's a biography of a man he knew well. In fact, Parini says, the book will be part autobiography, because he was present for many of the events he describes. "Of course I wanted to [write Vidal's biography]," says Parini. "It made sense. He was a big part of my life, so I would have been crazy not to do it ... My main responsibility was to do a very fair, balanced and affectionate, but clear and honest, life of Gore Vidal. That's my task. I think I've done it, but we'll see." Vidal himself, never at a loss for words, wrote two volumes of memoirs, in 1995 and 2006. Parini's upcoming biography is one piece of evidence that a revival of interest in Vidal might be afoot. Another is Wrathall's documentary. Both projects have allowed Parini to commemorate a friendship that he calls "one of the big experiences of my life." Disclosure: Seven Days film critic Rick Kisonak is the director of the Burlington Book Festival, and Jay Parini's son, Oliver, frequently contributes photographs to this newspaper.